Huston also serves as the state’s Beef Quality Assurance program coordinator. 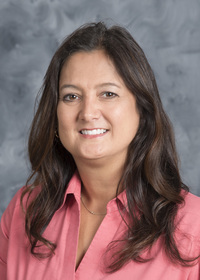 Between her Extension work and her research and teaching in veterinary preventative medicine and epidemiology, Huston hasn’t had a dull moment in her 16 years at MSU. Before coming to MSU in 2001, Huston earned three agricultural and veterinary degrees from The Ohio State University. 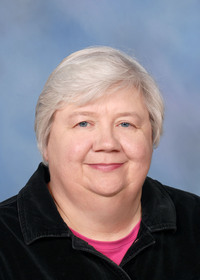 She joined the MSU Extension Service in 2008. 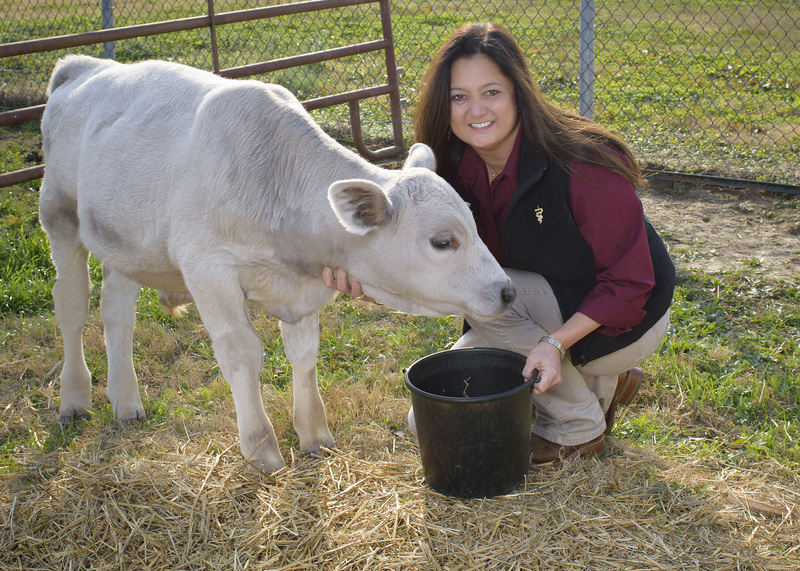 As Beef Quality Assurance coordinator, she makes sure livestock education programs help Mississippi beef producers meet industry standards. She said a majority of her Extension work this year revolved around the U.S. Food and Drug Administration’s amended Veterinary Feed Directive regulations. The Veterinary Feed Directive program governs drugs that only licensed veterinarians can approve for use in feed for food-producing animals. She also spends a lot of time reaching out to veterinary practices in communities affected by weather-related events and other emergencies as a member of the Mississippi Animal Response Team, the official coordination and response team for disasters involving animals and agriculture. Volunteer groups are deployed to affected communities in a supporting role. Established in 2006, the Mississippi Animal Disaster Relief fund has distributed about $60,000 in assistance to clinics, rescue shelters and livestock owners for boarding and medical costs. Funds have also been used to replace show supplies for 4-H’ers, portable kennels and feed. Immediately following Katrina, the fund distributed more than $371,000, assisting 46 veterinarians and their clients. Huston estimates the funds have been used to assist between 700 and 800 livestock animals and pets. One recent beneficiary of the fund was Paws Rescue in Vicksburg, a small volunteer-based foster organization that took on an overflow of more than 40 cats and dogs after flooding threatened the city’s animal control offices in August 2016. “We operate from our homes and have limited funds, so the financial impact of bringing in so many animals at a time was overwhelming,” said shelter operator Leigh Conerly. “We looked for grants that could help us and found Carla. She walked us through the process of applying for funding, and we soon received reimbursement for boarding and treatment expenses. Make a donation to the Mississippi Animal Disaster Relief fund by visiting https://goo.gl/RtCWK7.